For those who are interested to take a look, I've put on a password while it's still under construction. Please also feel free to let me know if you feel that I should include additional info. I'm halfway through writing Childhood Ambition, a story on how Ivan and Yao met. 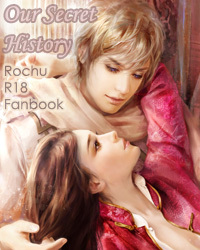 I'm halfway through it, but I have no motivation to write it because it has no R18 *bricked* OTL Yet it is necessary to write it well because it's the very first story of Our Secret History. T_T I'll wing it somehow. "Yao, you're mine, all mine now. Kolkolkolkol~"